I’m so sorry for your loss. I suspect that, if you’ve clicked on this piece it’s because you have recently lost someone. While the amount of comfort I can offer you here is quite limited, I hope that I can give you the information you need to ensure you get the time to grieve and surround yourself with the supportive people in your life. Unfortunately, there is no statutory entitlement to paid bereavement leave under the Employment Standards Act (ESA). Though death is usually unpredictable, as with all leaves of absence, you must notify your employer of your intended absence as soon as you can. You should also note that a half-day taken off will count as a whole day of leave. While there is no guidance in the law for as to what exactly reasonable in the circumstances means, as with most pieces of employment legislation, the aim of the law is to balance the rights and interests of both the employer and the employee. What is reasonable will depend on the situation: length of leave requested, frequency of such absences, cost of absence to employer etc. So, for example, there is probably no need to ask an employee for proof of a relative’s death if they are taking a single day off; your employee’s word in this situation should be adequate evidence. 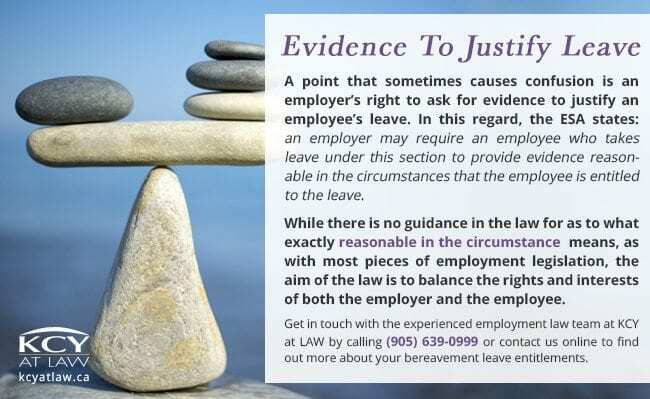 Unlike employees governed by the ESA, employees under federal jurisdiction are entitled to paid bereavement leave under the Canada Labour Code. 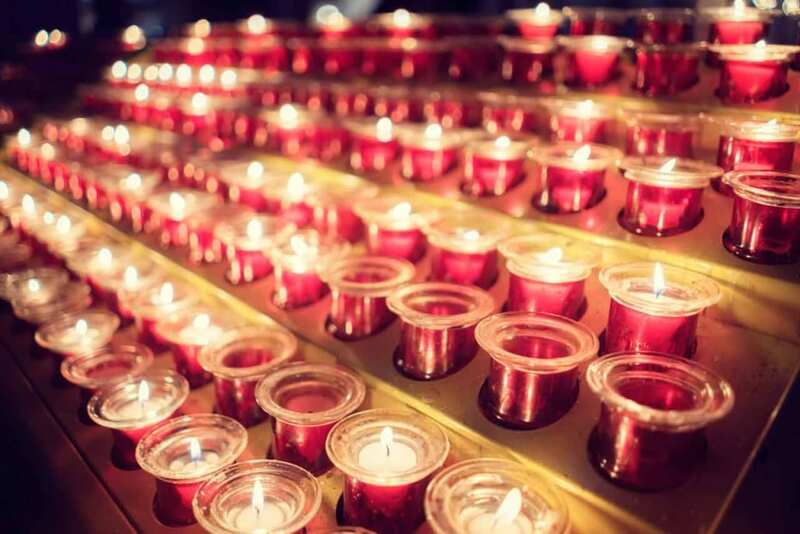 Under the Code, you are entitled to up to three days paid bereavement leave if you have been employed with a company or organization for three consecutive months. If you haven’t been employed this long, you are still entitled to three days’ leave but this time will be unpaid. 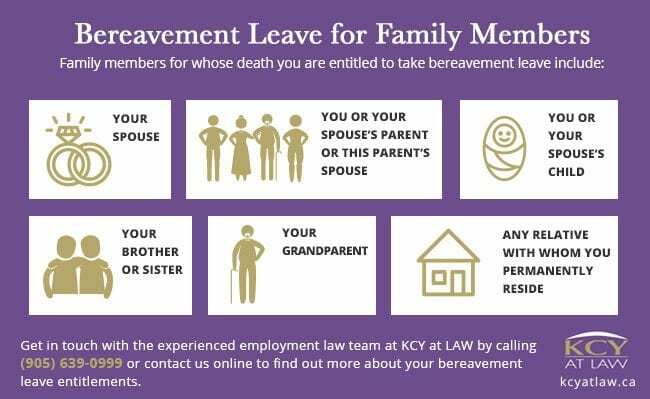 You are entitled to leave on any working day within the three-day period immediately following your relative’s death. The three days of leave only apply to regular working days. For example, if your family member dies on Saturday, you would only be entitled to Monday and Tuesday off. Additionally, these leave provisions don’t apply if you are party to a collective agreement. If you have questions concerning your bereavement leave entitlements then we can help you. Get in touch with the experienced employment law team at KCY at LAW by calling (905) 639-0999 or contact us to find out more.